THE BEST USE OF WOOD SINCE…THE CIGAR BOX! 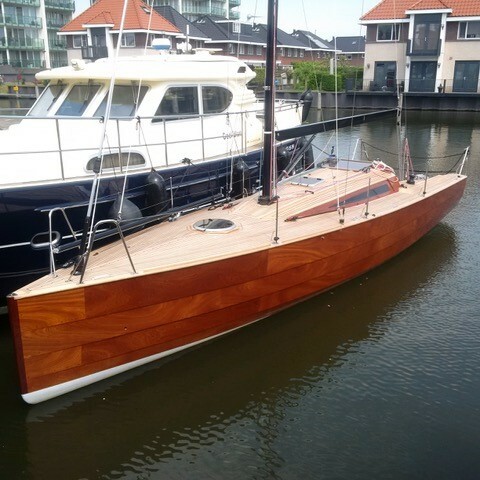 The boat is made of Supra Hechthout, which is the Rolls Royce of marine plywood. The hull is clear lacquered, has a teak deck, and an open cockpit. The hardware package is entirely from Harken, which fits perfectly with the extra-tall carbon mast. The sailing wardrobe carbon Titanium Liteskin by UK Sailmakers. 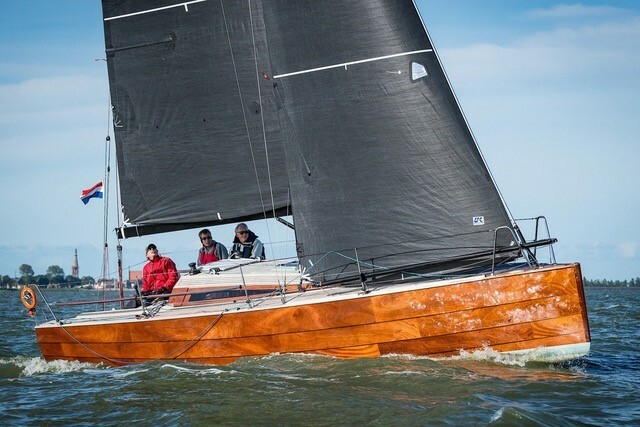 Her strong, smooth, light-weight, good looking Titanium sails are a perfect match for this boat. She is not over-dressed. “The new touring version of the 1010 LD makes it possible to cover large distances quickly without effort, making a much larger sailing area possible than you have been used to. So, before you go on holiday, don't forget to buy new nautical charts from further destinations.” This 30-footer has a full interior making her the perfect, sporty cruising boat for small crews. 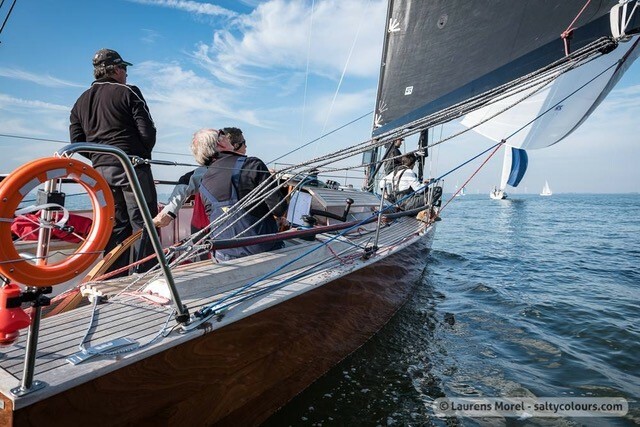 Owner Don Tetteroo commented, “My plans for the boat are to participate in local and international races. I have some reliable crew members; which I need because this is a new boat, a new mast and new sails and the boat is very sensitive and reacts to every change in trim. Amazingly beautiful boat. Captivating lapstreak design. Fast sails. Good crew. But...do they smoke cigars?